It's the announcement many Alaskans have been waiting for: the zoo has made an official decision about Maggie the elephant. 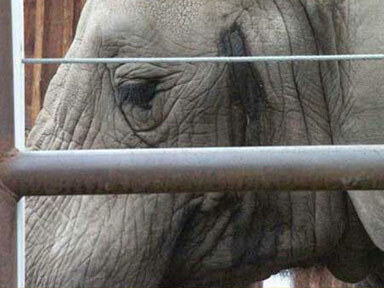 Maggie the elephant "can come on down" to the PAWS sanctuary in San Andreas, California. Television legend Bob Barker made his case last month when he came to visit Maggie and offered to support her for the rest of her life with a donation of three quarters of a million dollars to PAWS. The zoo agreed. Now with the decision finally made, the real work begins. The zoo and PAWS still need to work out the details of the agreement, do a site visit and, of course, get Maggie ready for the big trip. The zoo is already in discussions with air carriers and elephant crate experts to figure out how to get the massive animal to the Lower 48. If all goes well, Alaska's only elephant will be gone before snowfall. "Nobody is going to rest easy until she is down there and safe and integrated in. There is a lot of work to be done yet, but the overall goal is a noble one. 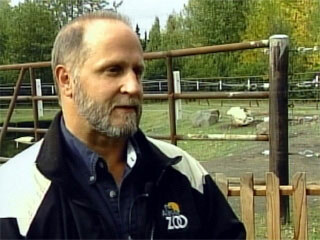 And I think it will all work out very well," said Pat Lampi of the Alaska Zoo. 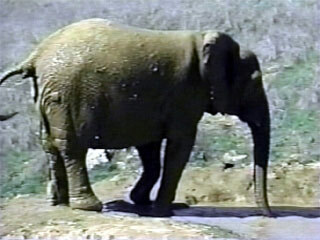 The PAWS sanctuary already has seven Asian elephants, and four other African ones just like Maggie. Her handlers hope she will fit in seamlessly with the group and live out the rest of her life in comfort. "Every elephant is an individual. They're like our friends, our children our family. And we are going to do everything in our power to make Maggie comfortable and happy," said PAWS co-founder, Pat Derby. The zoo board decided the 100,000 dollars PAWS initially offered would not be part of the final deal. CBS 11 News has been told plans for a community going away party for Maggie are already in the works.